Featured on this discontinued product page are the Holland Bar Stool Co. 610 Contessa, 620 Catalina and 630 Voltaire chairs. These commercial grade chairs are only available in our stainless finish and provide you with exceptional back comfort with their form fitting back styles. You'll be able to sit comfortably with the quality crafted padded seat that will sooth you while sitting. These frames may have areas of rust on them but don't affect the frame structures. 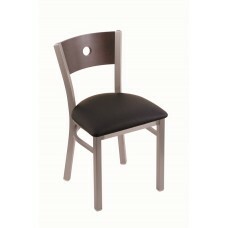 Non Refundable, No Returns & No Warranties on any of these metal chair products. 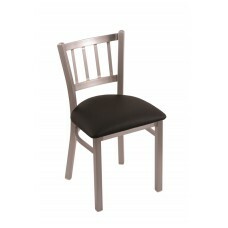 These metal chairs are part of our scratch and dent products here in our manufacturing facility. We're able to give you a great discount on these products since we need to get them sold in as is condition.